There’s still time to treat yourself or make a present for that someone special, so I’ve dropped the price of the Nefertiti’s Treasure necklace and Eclectica! patterns. Both are perfect for sparkly Christmas dos or even whilst wearing a pinnie, doing the turkey! 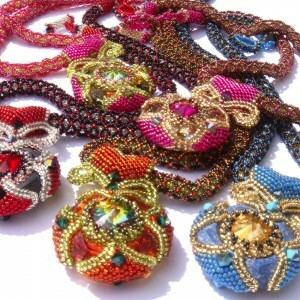 I’ve also added 2 patterns – Crystal Finger Candy Rings and the Tsarina Reversible Lariat. I wrote the rings pattern back in 2005 and kept meaning to update the format, so finally I have! The rings work up very quickly and would be ideal for the Christmas stocking! 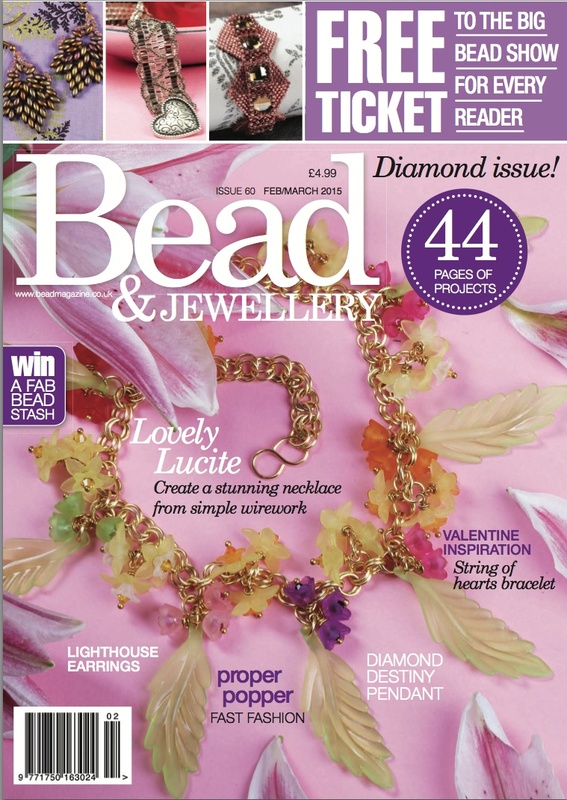 Another quick project is the Crystal Rosette Pendant – also a great way of using up leftover crystals and beads, and perfect for gifts. As Christmas has been approaching and I’ve been teaching Hubble stitch workshops, the Christmas cuff and Snowflake earrings have caused a bit of a creative stir. 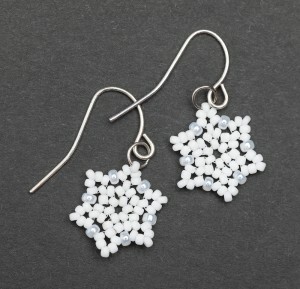 Not only can you make the festive snowflakes as earrings but how about working them in larger beads and making a whole chain of them as a garland for your Christmas Tree – you could separate them with larger silver-lined red, gold and green beads or crystals to speed up the lengthening process. 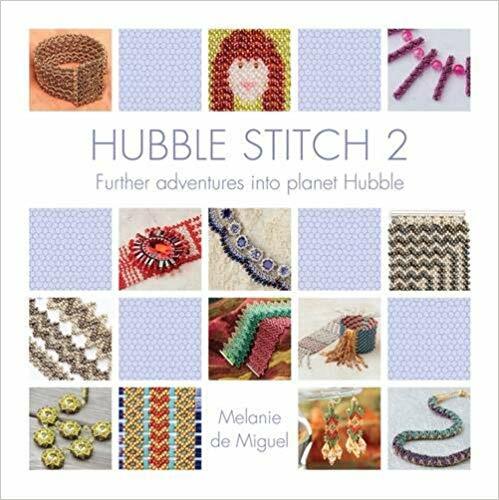 Of course for anyone who hasn’t yet had a go at Hubble stitch there’s always Let’s Hubble! to get you started – either in paperback from Amazon, Waterstones or your local bead stores, or the digital versions from iTunes and Amazon. Hubble Stitch 2 is here!!!!! !